Qatar has been making waves for some weeks now, and in the deluge, it has also strung along a few companions. One is the UK bank Barclays, which prided itself for having avoided a government bailout in the financial crisis of 2008. In the ensuing chest thumping, executives could claim to have spared the British tax payer the need to fork out for private deals gone wrong. The charges relate to three alleged offences constituting what has been termed financial assistance – effectively, a bank loaning itself money via its own investing instruments. The first two charges assert that former senior officers and employees of Barclays had committed fraud by false representations regarding two advisory service agreements entered into with Qatar Holding LLC. The third centres on a claim of unlawful financial assistance from a loan from the State of Qatar in November 2008. The aftermath of the 2008 crisis did much to give capitalism – at least of the bankster variant – a blackened name. This was made even more acute by the mild response from authorities indifferent to culpability in the banking system. Rotten financial decisions did not necessary entail rotten criminality. Financial colossi of such standing as John Varley, Barclays’ former chief executive, were deemed untouchable. It is instructive to cast an eye on the four chief figures involved in the efforts of the fraud office. Varley has tended to be considered the Old School version of the City banker, linked by marriage to the founders of Barclays, a solid though unspectacular figure. Scotland-native Roger Jenkins had all the smells and bells, doing well out of the bank. In 2005, he pocketed 75 million pounds, making him the highest-paid individual in the FTSE 100. Deemed the “deal maker” in the set, he was vital in the 2008 Qatar deal. Jenkins had company in the deal making stakes: the bold wealth magician Thomas L. Kalaris, who did much for the American side of the bank’s operations. He proved an important figure in the Qatar talks, nudging matters along to their ultimate conclusion. The quartet is completed with the fallen Richard Boath, who claimed in 2014 that he was fired by Barclays after supplying the Serious Fraud Office confidential material about the bank’s policies. His insistence that he had little to do with those decisions, a mere cog in a degenerate machine, comes as little surprise. What became standard policy for governments in the US and Europe after 2008 was the socialisation of losses: the issuing of government bailouts that effectively led to the ownership of bad debt, not to mention decisions, by the tax payer. The Lloyds Banking Group did well out of this. Wall Street banks were also delighted, essentially being force fed liquidity from the public purse to keep them afloat. The heads at Barclays could certainly point out the fate of the Royal Bank of Scotland. The RBS, having accepted the government as virtual majority owner after the bailout run, saw decisions made on its investment bank. The battle between financial-driven desire and taxpayer directed interests persists as an ideological hallmark of the modern market system. A considerable problem in this affair is whether the SFO is up to the task. The body’s record on keeping financial deviancy in check is patchy, even lamentable. Attempts to prosecute alleged manipulations of the Libor system, the benchmark interest rate, have shown it up as a body with less than sharp teeth. 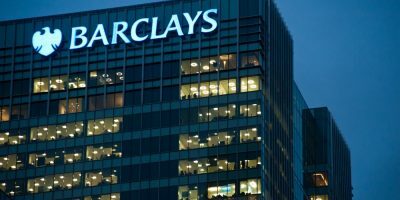 The office will have to assess whether the regulatory bypassing by the Barclays executives was tantamount to illegality, or something short of it. Was this merely exotic round tripping, with transactions that were not entirely connected? The pudding has yet to be baked, but evidence is strong. The spin in such arguments turns banking organisations into noble toilers who defend, rather than undermine, the public interest. Having crossed their Rubicon, the SFO will test the viability of a system that may well have legislative backing, but has, thus far, failed to yield much by way of results. Dr. Binoy Kampmark was a Commonwealth Scholar at Selwyn College, Cambridge. He lectures at RMIT University, Melbourne. Email: [email protected].